NIKON’S SMALL WORLD Photomicrography Competition shows us parts of our world that we can’t see with the naked eye. Using sophisticated microscopes, art blends with science, bringing some spectacular images of things like, plants, bacteria and cells. The competition first began in 1974 as a means to recognise and applaud the efforts of those involved with photography through the light microscope. Since then, Small World has become a leading showcase for photomicrographers from the widest array of scientific disciplines. Email “Through the microscope: Photo competition opens up a world we never see”. 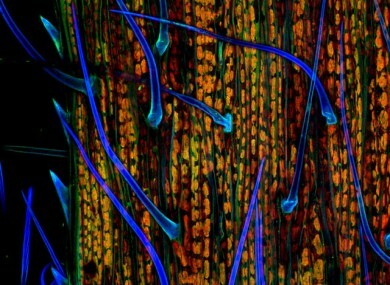 Feedback on “Through the microscope: Photo competition opens up a world we never see”.